Welcome to our July Digital Stamp Release!! Thank you for joining us for our July release. Sit back and enjoy our daily DT inspiration AND don't forget to comment and follow for a chance to win some blog candy!! All images will be available in line art and clip art. You'll find them in the store on FRIDAY. It's easy and fun to do! Sadly, this is Jenn's final project for us. Thank you, Jenn, for sharing your creativity with our team. Rene here with my card for this week's Digi My World showcase. Today I've created a little something using an image from the fantastic Wee Bit Irish set! I hope you enjoy it. 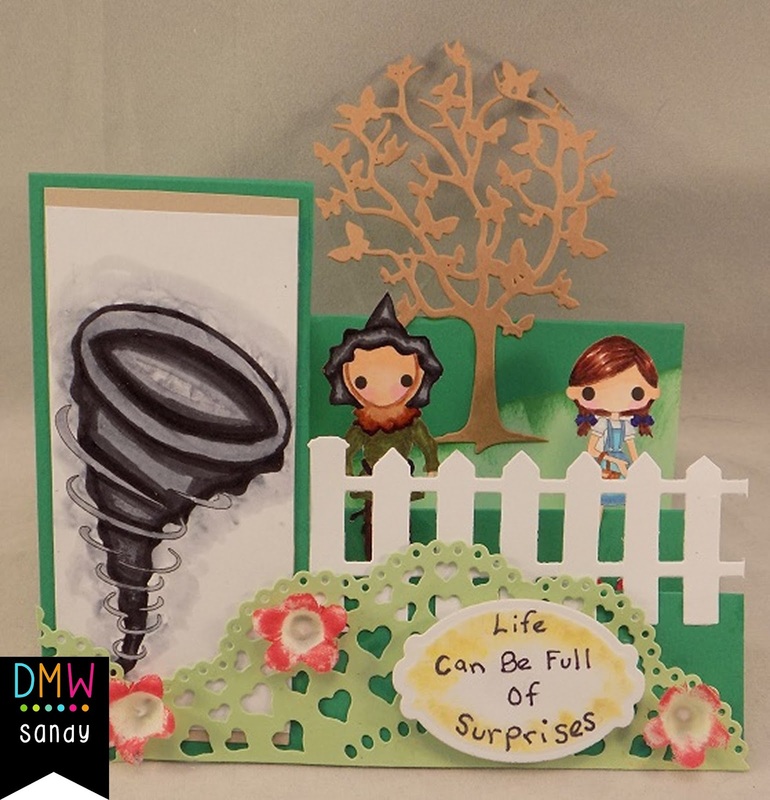 Today I would like to share with you a card that I just made using the OZ BFF's images from the Digi My World Store! I am probably most noted for making scene cards! If I see images that I know would work well as a scene I will jump at the chance to use it! :) I just love Anne's images of Dorothy and the Scarecrow! They are just wonderful! More info is on my blog! Hello! Mel here with a new card for you. I colored up one of the Sundae's in the Kawaii Ice Cream set. I added the "chocolate chips" in the ice cream with a micron marker. The image is colored Copic Markers and then masked. The background was stamped with Jaded Blossom's Paint Spatters 2. 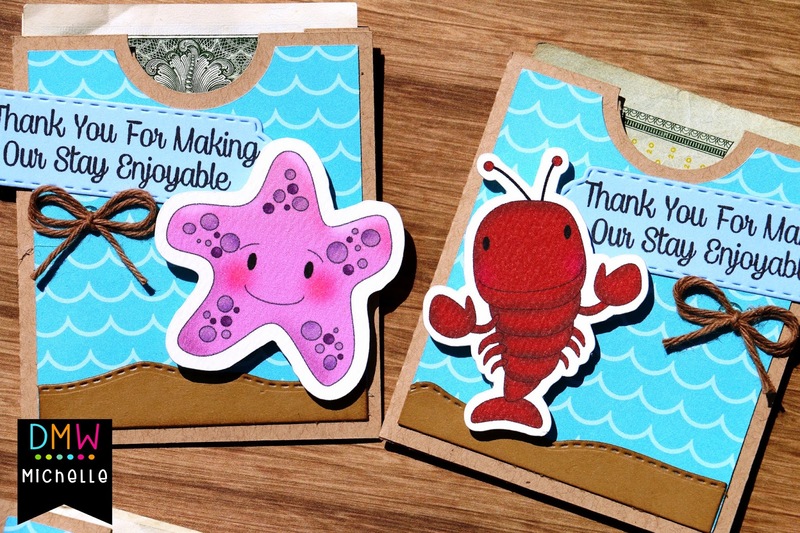 Sea Life Tip Envelopes ! Stacie here with today's post! I was feeling a little more CAS than usual with this one! 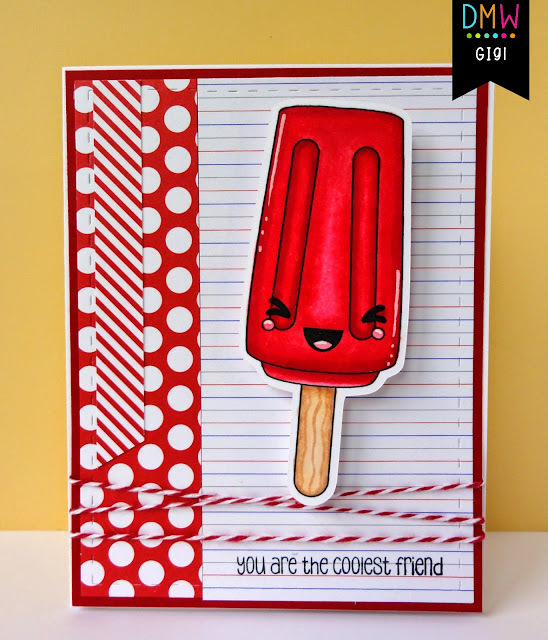 I also put Glossy Accents over the Popsicle so it has a great shine to it! Here's my card using Surfer Boy Corey. My daughters laugh when I tell them that I used to surf waaaaaay back when! And, my hair looked almost the same color; dark roots and sun bleached tips. Of course, then, we used to rub fresh lemon in our hair to get it to bleach. Awww, the good ole days. Hi everyone! 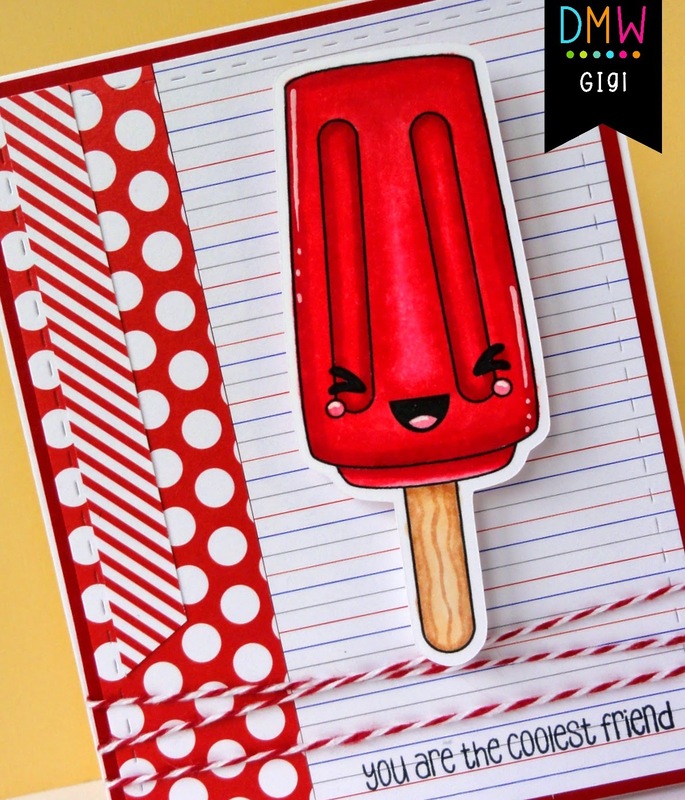 This is GiGi from The Cricut Bug and I am sharing this cute card I made using the Kawaii Popsicle digital stamps. This was a really quick card to make and it so cute! It just makes me smile. 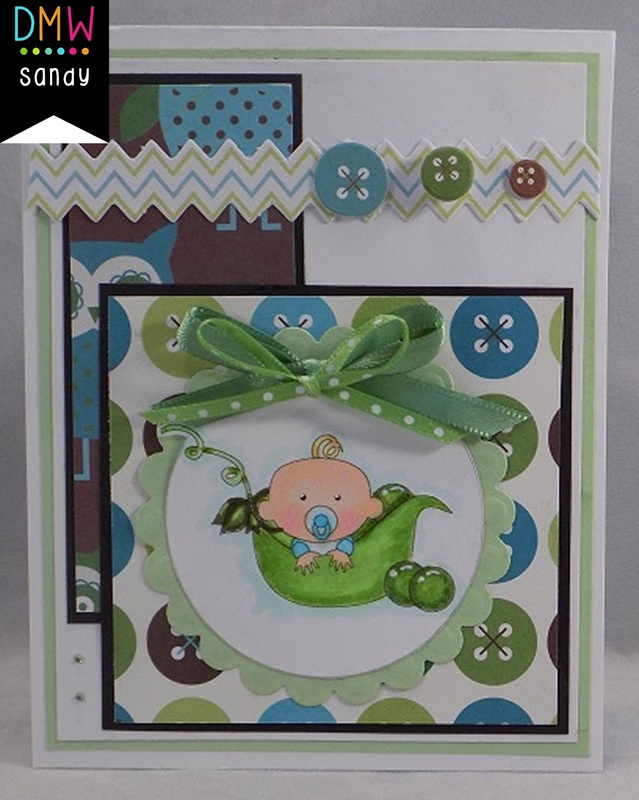 I started with a standard A2 card base and added the mat layer cut with the Jaded Blossom Card Mat Dies. I added 2 strips of different red pattern paper to the side and tied some twine around the card mats. 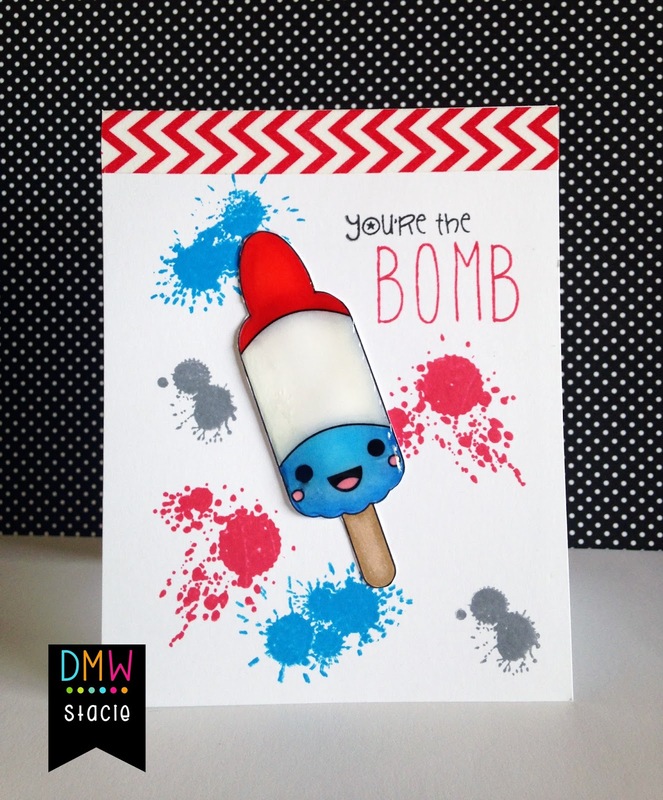 I printed and cut out the Kawaii Popsicle with my Cameo and colored him with Copic Markers. To finish, I stamped the sentiment from the Jaded Blossom Best Friends stamp set. 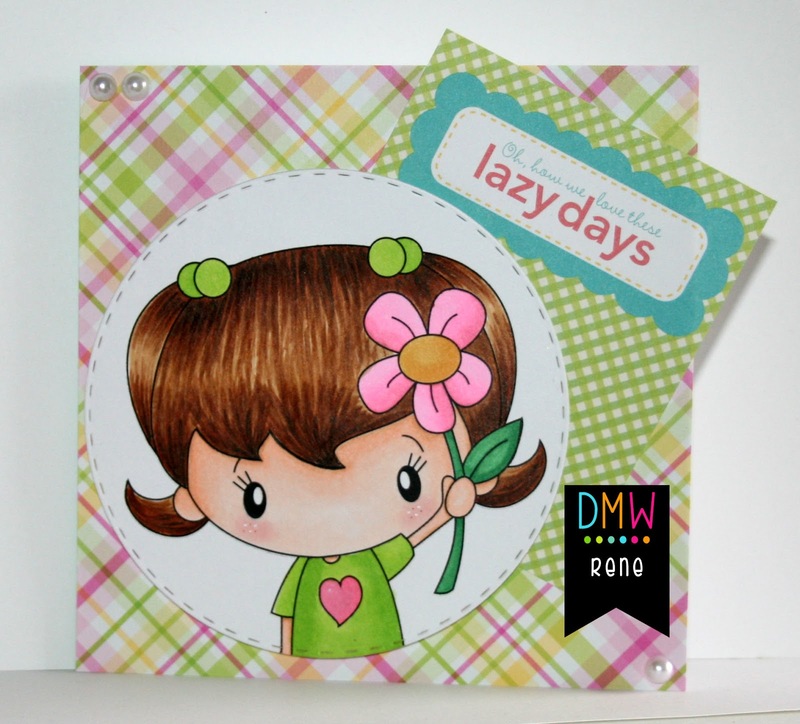 I colored her with Prismacolor pencils & mineral stamps and fussy-cut her out, then attached her with pop-up dots. I added some fun embellishments that I made with my Silhouette, a piece of Washi tape in the corner, some little pearl stickers, then finished it off with the little "Wander" charm from Tim Holtz. Peace. Rene here with my creation for Thursday's post! 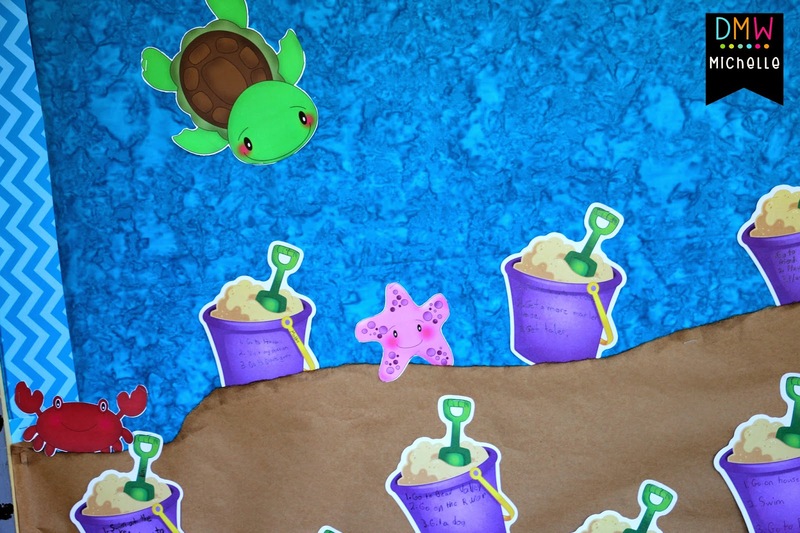 I'm using an image from the fantastic Lift Me Up set. This adorable set is perfect for so many occasions! Thank you so much for stopping by! Happy Thursday!!!! Once again it is my turn to share with you another card I made! 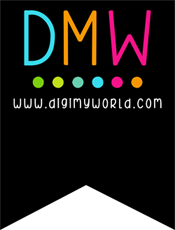 I am using the delightful Pea Pod image from the Digi My World Store! What a sweet image for anyone expecting, or just had a baby! :) It's just to darn cute! It didn't take to many supplies to make this card! I used Spellbinders, Beaded Circles, and Standard Ciecles Small! The paper is Ki, A Color Story Page Kit! I colored the image with my Copics, added a bit of ribbon and tiny gems and that's about it! Hello! Mel here with a new birthday card for you. Our last release had so many cute things to color (or print and cut). Here are the single Popsicles from the Kawaii Ice Pops collection. I copied one of the images twice and printed them out to color with my Copic Markers. 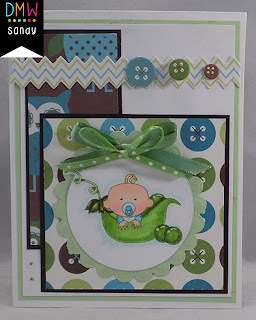 The sentiment and background stamps are from Jaded Blossom. Meet our newest DT Members! Today is a bittersweet posting. As the end of our first term comes to a closing, we will bid farewell to (3) Three team members and welcome (3) three new ones. I want to thank Sandy, Rene and Jenn for the past 6 months on term 1. (Sandy longer as she was with us last year too)... the time has really gone by way to quickly and I wish you all the best of luck in your future endeavors in life and on new DT's. Thank you for all you have done! Please make sure to continue to follow their blogs for what I am sure will be wonderful and amazing projects! And now term 2 ladies! Please join me in welcoming our newest team members! I hope you are as excited as me to see what projects these girls will bring to the table!! Today's my day here at Digi My World !! I was asked to do the bulletin boards at school down the main hallway. So I change out the 1st and 4th grade boards every other month. These boards are 9 1/2 feet long by 4 ft tall. 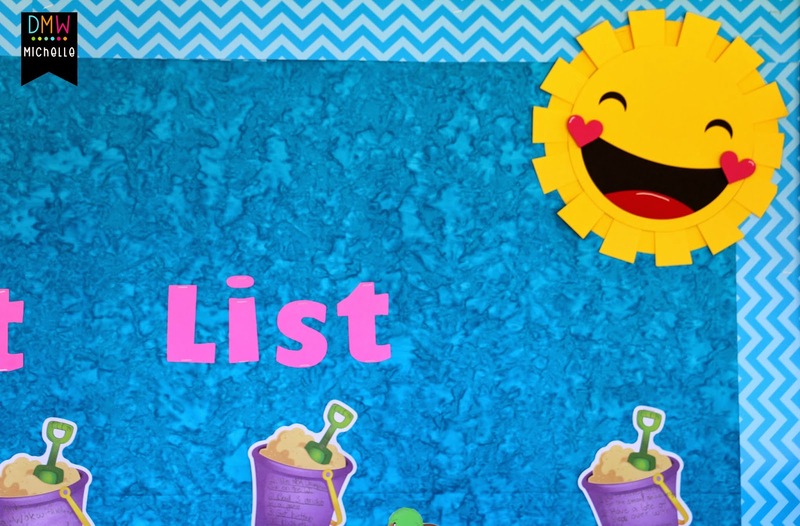 For summer I had the 4th graders write down the top 3 things on their Summer bucket list ! I used Digi My World clip Art from Sea Life ! The sun is a cut file from SVG Cutting Files ! Hope you enjoyed my board ! All the kids love walking by and reading what the other kids want to do during summer break ! I hope you're having a Bee-utiful day! Sorry, I couldn't resist. This little Bee just makes me smile. 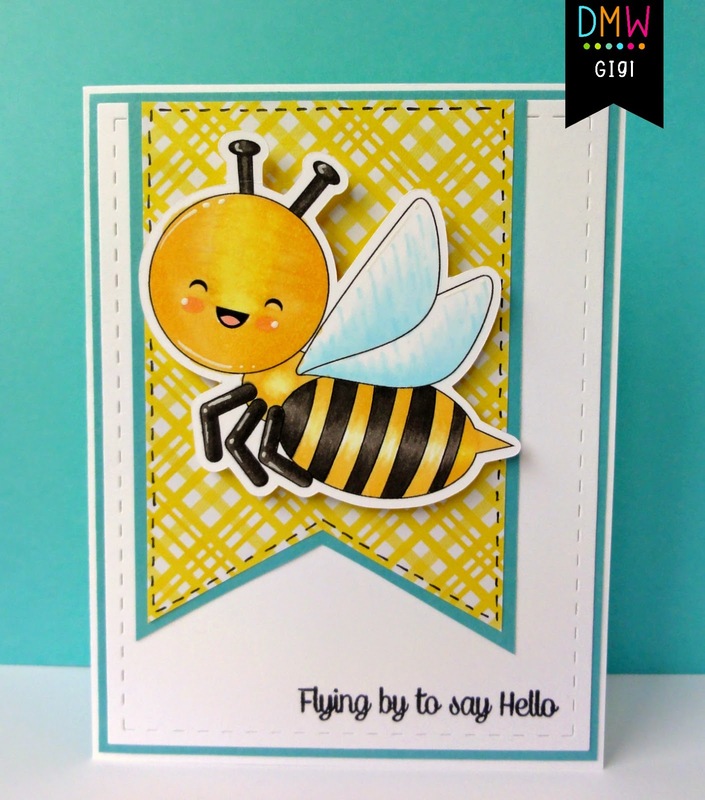 I remembered I had this honeycomb embossing folder and the Jaded Blossom stamp set, Love Stings so it just came together as a clean and simple card. Some organdy ribbon, Scrapper's Spool twine, gems, and one of the JB Mini Tag Dies 2 and it was all good. Don't forget we're having a DESIGN TEAM call. Read all about it HERE. Hi everyone! 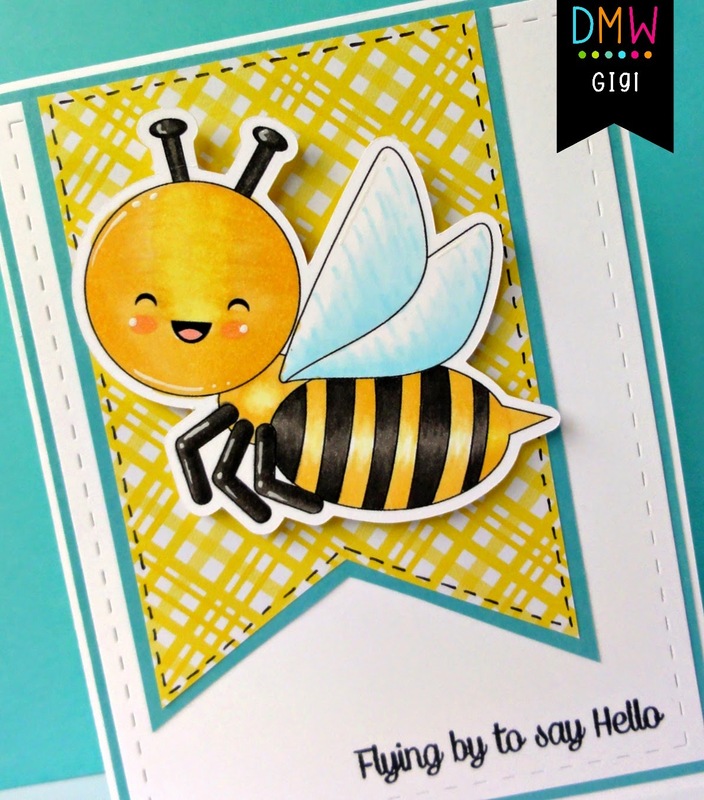 This is GiGi from The Cricut Bug and I am sharing this cute card I made using the Bee digital stamp. 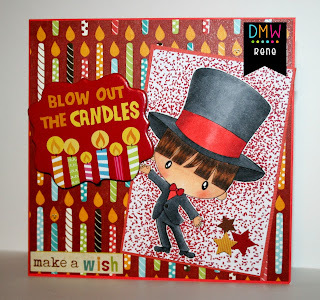 I started this card with a standard A2 card base and added the mat I cut with Jaded Blossom's Card Mat Dies. I printed and cut out the Bee with my Cameo and colored him with Copic markers. I added the bee to a tag that I hand cut and also added a black stitched line with a pen. To finish, I stamped the sentiment from the Up, Up, and Away stamp set. I printed my image onto white cardstock and then again onto some orange designer paper (designer papers are by doodlebug design inc.) and paper-pieced it. Embellishments are cut-outs from the paper pack, clean and simple yet loads of fun! 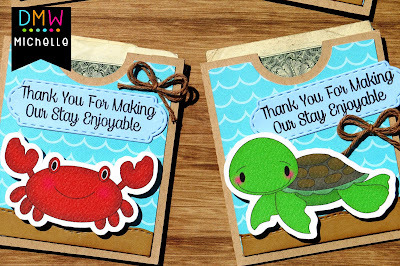 These images make the perfect Summer cards. Have a fantastic week. Peace.